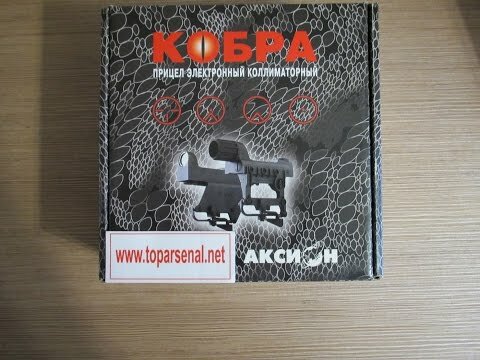 Our very first Internet page devoted to Kobra red dot sights www.cobra.guns.ru was established in 2000. 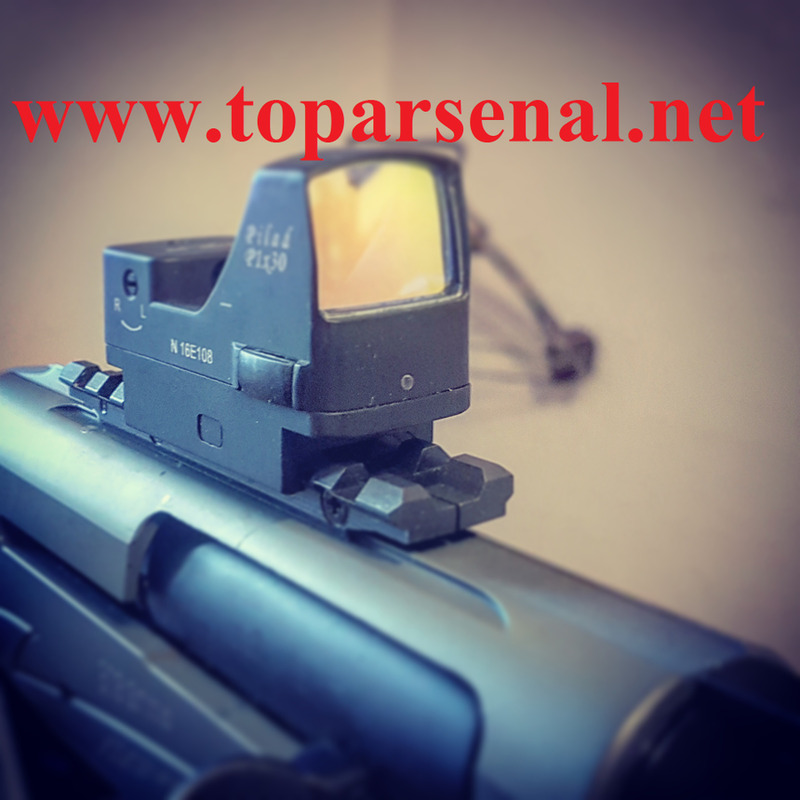 For more convenience and usability we are proud to present www.TopArsenal.net Ineternet-store that offers not only Kobra red dot sights (our priority) but Pilad VOMZ, NPZ Shvabe red dot sights and optical scopes, brackets, adapters, gun slings, muzzle brakes and other accessories at best prices. 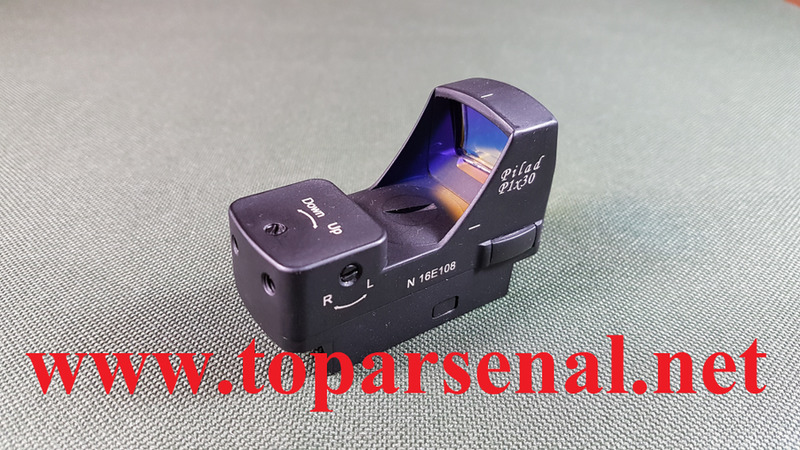 Inasmuch we have been selling Kobra sight worldwide since 2000, we DO care about the quality and so we check each sight before shipping. 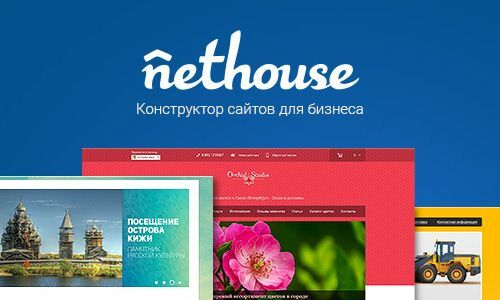 We are situated in Izhevsk - gun capital of Russia. That's why we have the best prices, handling and shipping time! 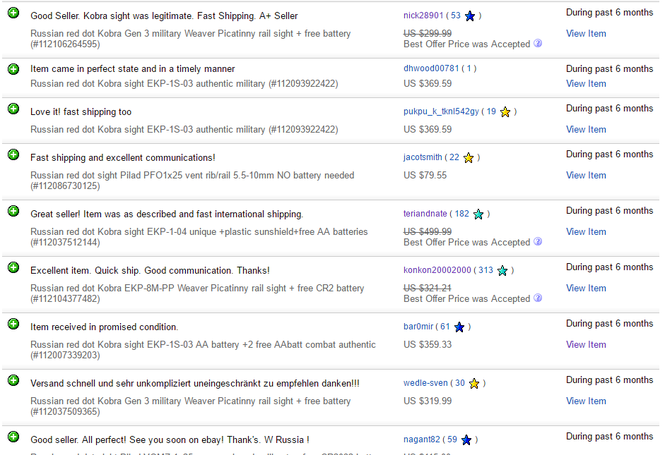 We usually ship within 24 hours (1 working day) after receiving payment. Payment is safe via Paypal. Shipment methods: registered airmail or EMS courier. Tracking number is advised promptly as well as website for tracking. 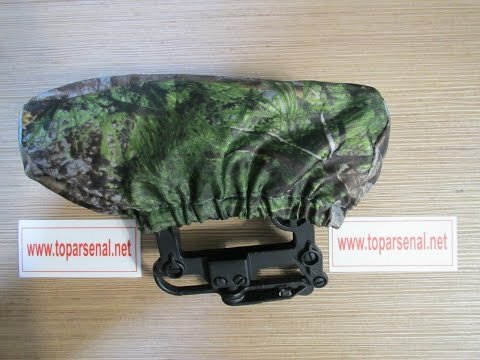 Do not hesitate to contact us if you are interested in ANY militry and hunting item that we do not have in the catalog yet. We declare all items as Gifts. There are no customs fees on your end. 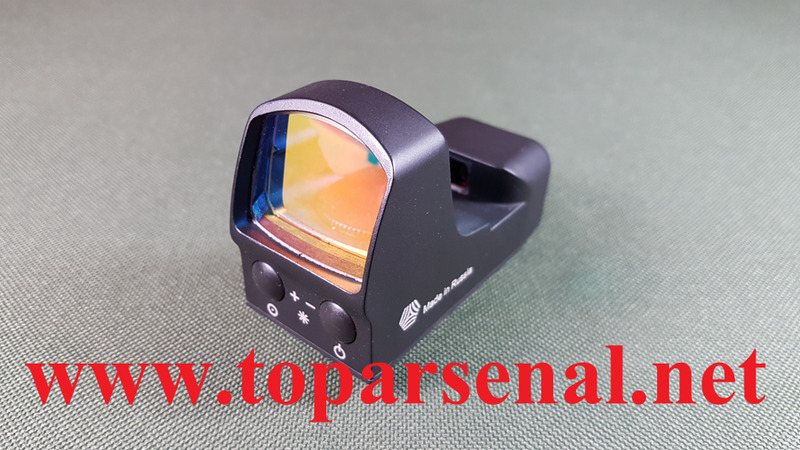 We have served hundreds of happy customers for more than 17 year practice of selling best Russian optics and accessories worldwide since 2000. 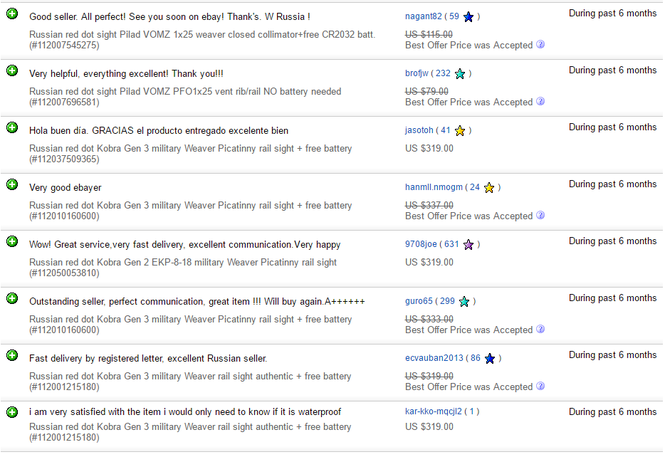 This is a small percentage of them - recent feedback from our Ebay store. Iron site can be seen in the attached state. Transactions and shipping were smooth and perfect. Best service I ever had. Top notch counsel, fast delivery, product quality as advertised or better. Received today a barrel of 400 mm for my Drozd, smooth transaction with Ignat of Top Arsenal (a valuable address to keep). Great choice of bb products and spares. Customer service is great: trustworthy, reliable, accurate and fast delivery. 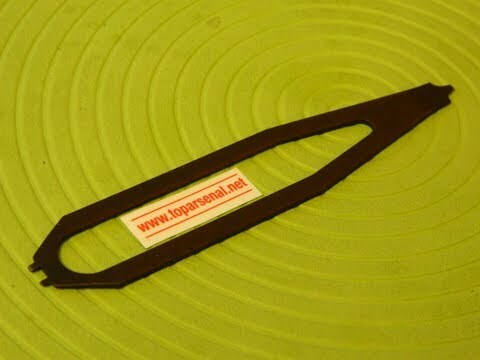 Very enjoyable experience on Toparsenalnet. 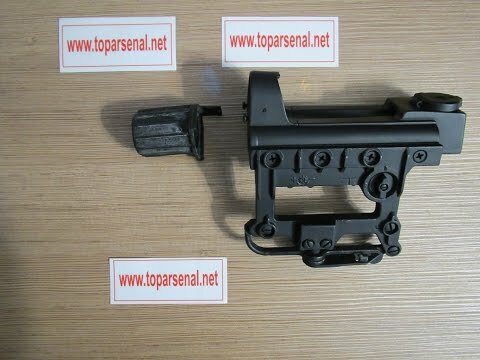 I definitely recommend the website and will shop again on Toparsenalnet. Thank you so much Ignat! Very nice shop for my Drozd Blackbird collection. 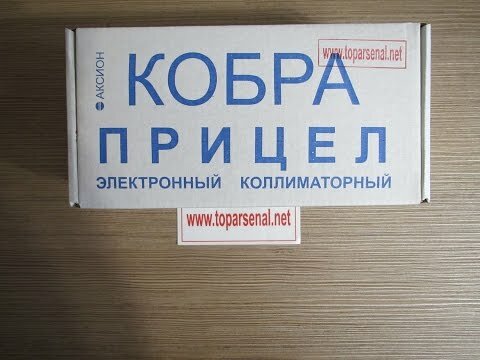 Here you can get parts, which you can buy nowhere in the world else, well done Russia. 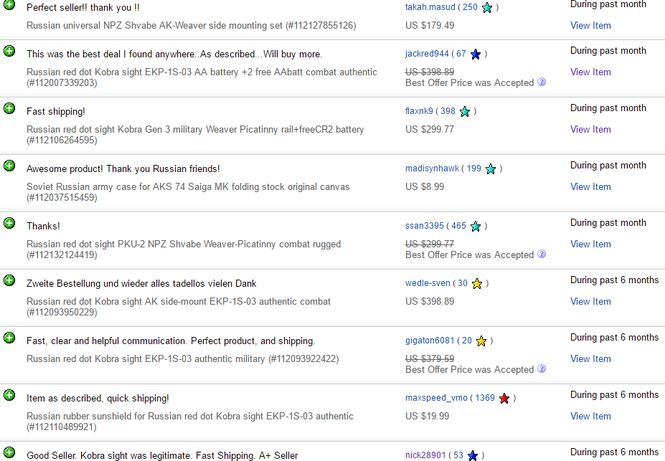 I bought already many parts, for example the Drozd 500 mm barrel and a Sergey's board. Excellent quality. Communication and help from Toparsenal is always very quick and in a competent and professional manner. Thanks Ignat. I will come back for sure. Here are some pic of my Drozd's with tuned parts from Ignat. Hi. I have two vomz pilad product. 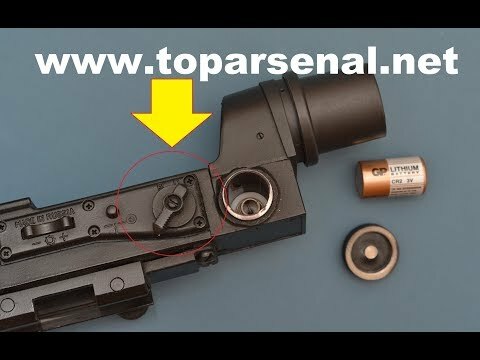 First and old one is 1x42 open type red dot. It is perfect. 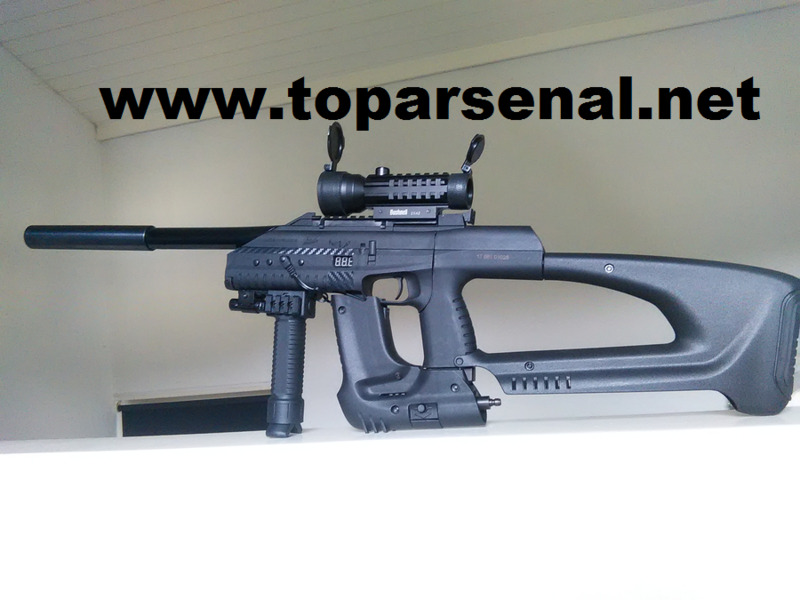 It keeps calibration after firing dozens heavy shotgun ammunition. The second and new one is 1x25. 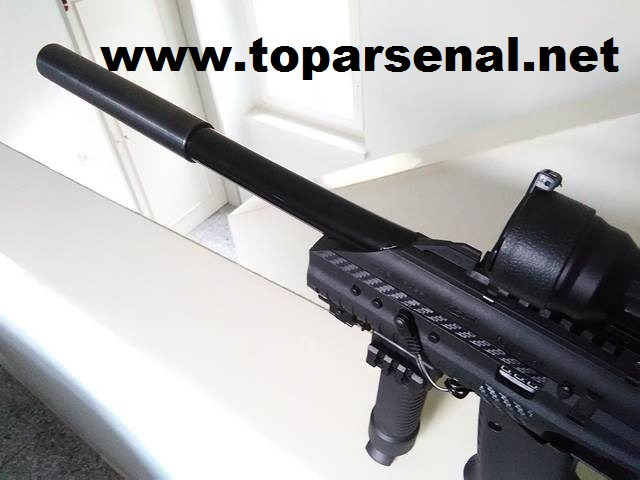 I hope that I will find thee same quality and ruggedness on pilad 1x25 tube red dot.Thank you Ignat (toparsenal.net). Good and honest service and nice communication. Ali Naci Celik, Turkey. 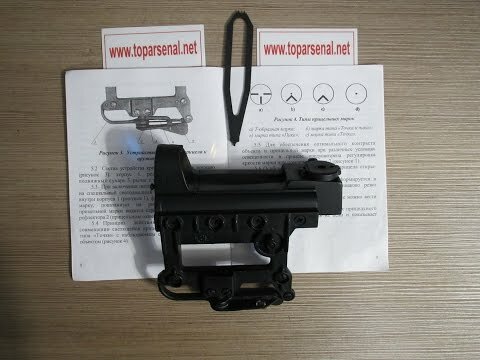 Ordered the EKP-8M-PP very satisfried with the service, and the sight. High quality and seems rugged as hell. When I get another Kobra I will definitely be using this website. 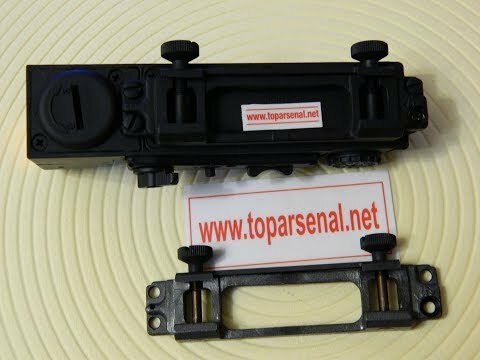 Extender +4 for my baikal mp155 ! Very Nice !! Very good service! Thanks a lot Ignat ! It's a pleasure to buy in your shop ! 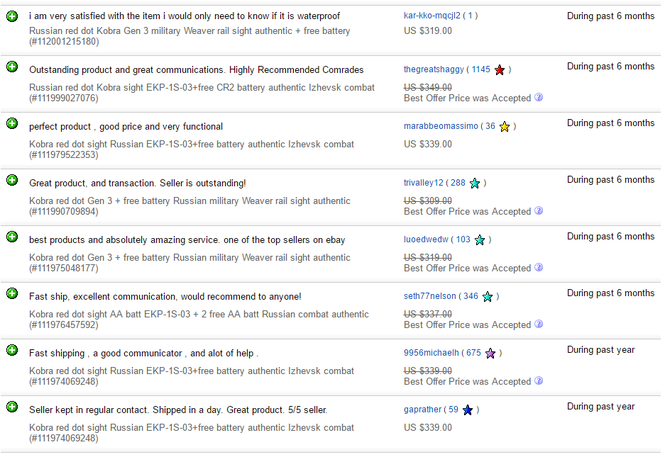 Very satisfied with the services of Top Arsenal, Ignat is really at the service of the customer, thank you very much ! I just received my second Pilad 1X42, this one is for my Vz58! Again fast and honest service !